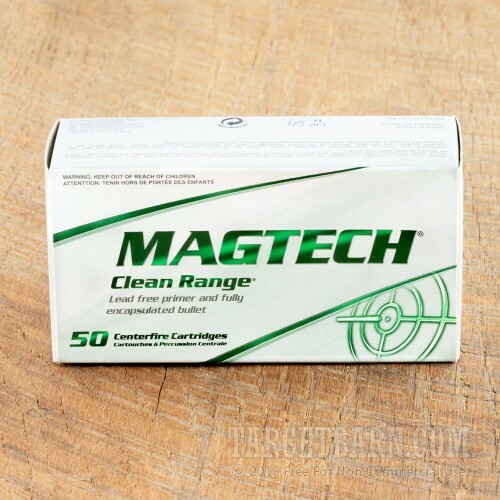 Magtech Clean Range ammunition is your best bet for avoiding airborne lead exposure at poorly ventilated indoor ranges (or windy outdoor ones). 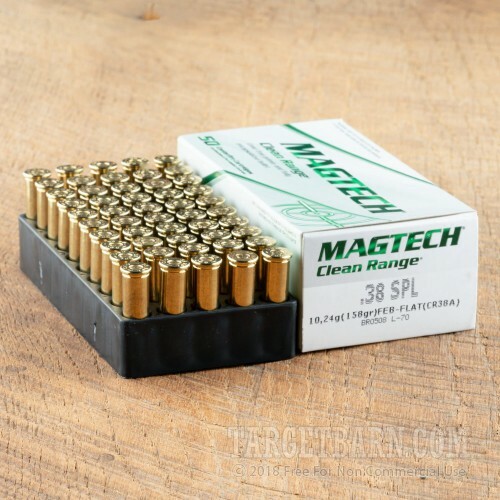 Clean Range cartridges fire fully enclosed base (FEB) bullets; as the name suggests, these projectiles do not have exposed lead bases. This means no burning powder contacts the lead core when the round is fired, helping to ensure that lead particles stay where they belong: in the bullet. 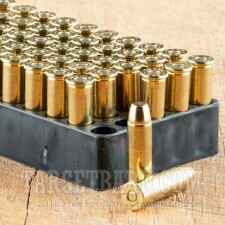 Each .38 Special cartridge in this box of 50 fires a heavy 158 grain FEB bullet at a muzzle velocity of 755 feet per second. This is a relatively light shooting target load that works well in a wide variety of .38 SPL and .357 Magnum handguns. This ammo is loaded in Brazil using reloadable brass and non toxic primers free of lead and heavy metals. 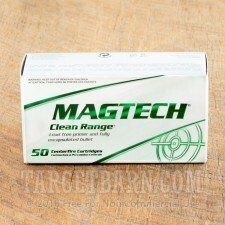 CBC, the manufacturer of Magtech Clean Range ammo, is a defense contractor and high volume ammo manufacturer with operations in both Europe and Latin America.